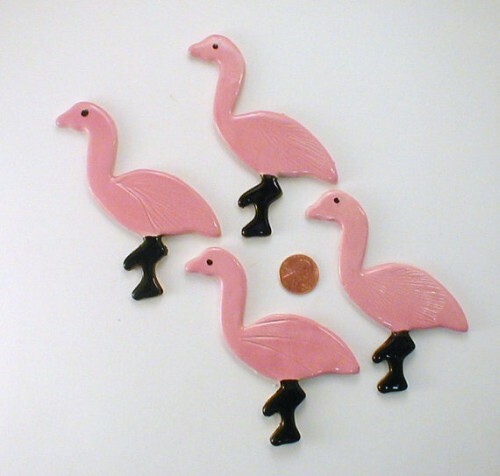 The flamingos are glossy pink with glossy black legs. 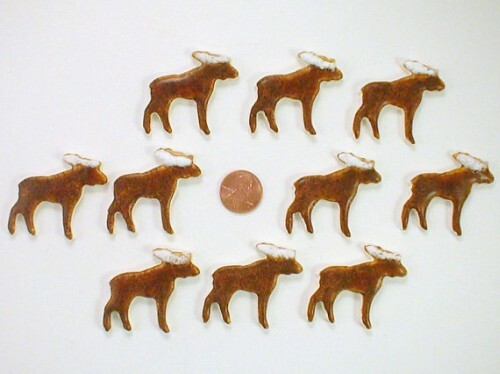 The mooose tiles are a burnt sugar color with a special white glaze on the horns. 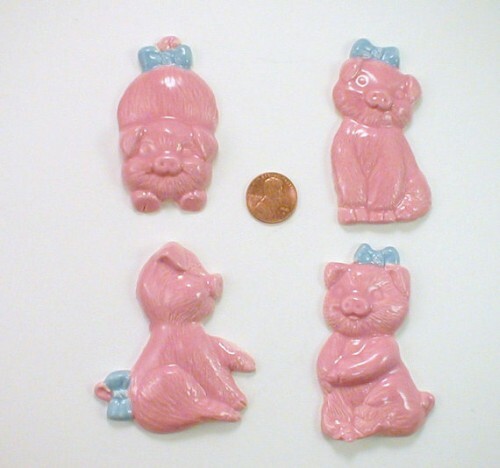 The pigs are glossy pink with baby blue accents.